It is an aluminium part without any servo and control plate . A single leg unbend about 23 cm, body shell is about 17.5 cm long, about 15.5 cm wide. 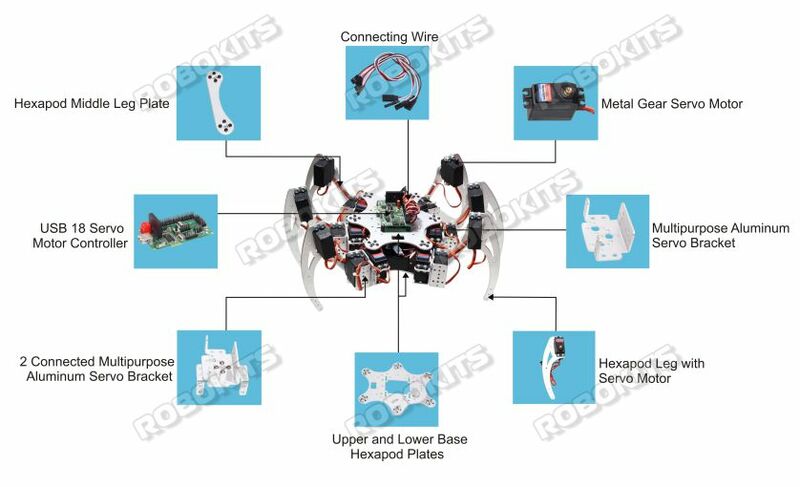 Each leg has three joints, robot can complete forward, backward, turn, dancing, climbing and can perform all kinds of action.